If you could get a strategic filter to pinpoint which webpages can be optimized to maximize your lead generation and revenue, wouldn’t you want that? A quick spoiler alert: You don’t need to overhaul your entire website to get the results you want. Instead, according to the Pareto Principal, it’s going to be about 20 percent of your site’s webpages that can transform your business and improve your ROI. 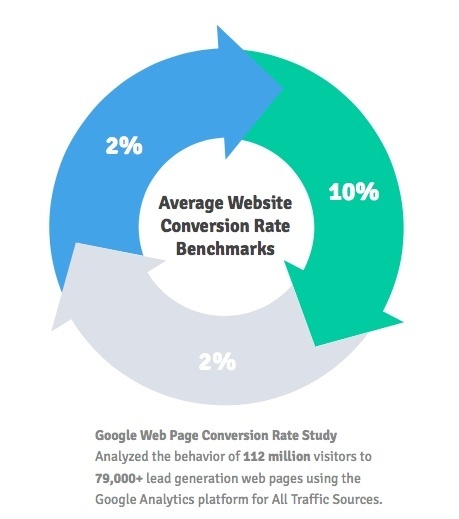 Once you’ve determined which those pages are, you can apply the 2-10-2 rule to maximize conversion on those pages with finely-tuned CRO (conversion rate optimization) best practices. In this article, we discuss how to apply these learnings into a strategic approach to website optimization. Let’s begin this journey in 1848 when Vilfredo Federico Damaso Pareto was born in Italy. This man would become a multi-hyphenate philosopher/economist whose name would be remembered by future generations solely for the principle he left behind. This Pareto Principle was derived from an early observation: Pareto noticed that 20% of his pea plants generated 80% of the healthy pea pods in his garden. Fueled by this concept of “uneven distribution,” he also realized that 20% of Italy’s population owned 80% of the land, a dramatic reflection on wealth distribution. How Does This Principle Relate to Website Conversions? The Pareto Principle today is more clearly defined as: “80% of results will come from just 20% of the pages,” introducing a critical new mindset for website owners to consider. 2%: CTA Click Through Rate:This is how many people click on a Call to Action (CTA) button. As an example, out of 100 visitors that visit your site and see your CTA, on average about 2 people will click on the button. As an additional note, the industry range is anywhere between 1%-9% on average. 10%: CTA Clicks to Submission Conversion Rate: This measures how many people complete your goal action. While the typical range here is 5-23%, a good CTA-to-submission conversion rate is 10%. For example, to have 5 people fill out and submit a lead form, it takes 50 people to make it to the form’s landing page, a CTA-to-submission rate of 10%. 2%: Lead Generation to Acquired Customer: Here is the holy grail; this is where a prospect becomes a customer. This number comes from CTA submission actions. For example, if 100 people submitted information on the landing page form, 2 people are likely to become actual customers, with a normal range between 1-11% depending on various factors like sales practices and lead nurturing. Do Your Website’s Most Important Pages Align with Customer Intent? With the 2-10-2 Rule as your guideline for successful performance, take a look at the handful of website pages that are the most important to your business goals and drive the most traffic. Are the top pages you see in Google analytics aligned with your marketing objectives? Are they built with purpose and aligned with intent? If not, they need to be. Awareness stage: The prospect is beginning to experience/express symptoms of a problem or opportunity. Consideration stage: Now armed with a clearly defined name to their problem or opportunity, the prospect is ready to consider alternative solutions. Decision stage: Set on a solution strategy or approach, the user is ready to make a decision on a product/service that effectively solves the problem. The purpose of your webpages should reflect customer intent and your offers on the page should fulfill these individual needs. Offers should transition within these stages, too. In Awareness and Consideration, the what, why, and how should be met with ample information and the proof. The Decision stage is all about the where, the action, and closing the deal, right here and now. Intent: Again, this is huge. You can’t offer the right thing if you don’t know the want. Ask yourself why has someone arrived at this specific page? What are they looking for? Does this page effectively convince them that they don’t need to search further, and your offer will be the solution? Call to action: “CTA messaging should be relevant to and dependent on the landing page topic which is also relative to the user’s initial search query intent,” advises Mark Beale. And, beyond the critical alignment of intent, don’t lose sight of the page design. Your CTA needs to be front and center and enticingly accessible, not lost in the page, especially since it’s critical to maximizing the 2-10-2 Rule. In most cases, the top right side of your page will be the optimal location for your CTA, which might include a lead gen form. E-A-T: We just learned that Google’s search engine results pages (SERPs) are putting a whole new emphasis on E-A-T (Expertise, Authoritativeness, and Trust) signals. 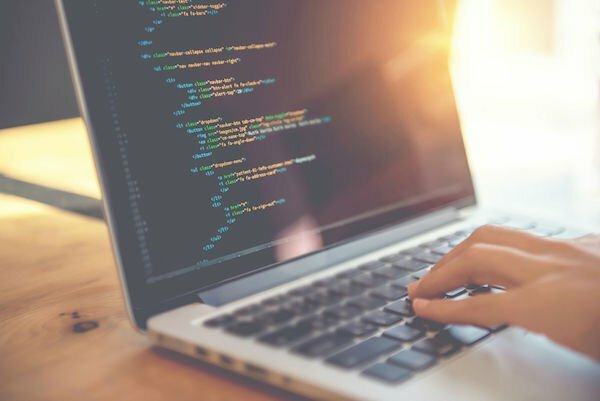 Especially if your business will be impacted by the YMYL algorithm update (“types of pages [that] could potentially impact the future happiness, health, financial stability, or safety of users”), you must ensure that your content, website functionality, and other assets must exude credibility. Ignore this aspect, and Google may never give your pages the SERP visibility they need for your business to succeed. That last point is crucial for a successful content development strategy. In re-building your critical pages, never lose sight of the user. Understand why they are here, what they need, and how to provide a natural breadcrumb path to carry them from awareness, to consideration, to a decision that puts money in your bottom line. Your highly effective pages, built with E-A-T and clear CTAs, will bring them to your doorstep, and it’s your job to convince them that they have come to the right place, and without any need to look any further.